Whether you’re doing the yearly inventory, having orders pulled, or receiving product, the need to count product accurately is essential. Today’s world has proved that counting scales are essential to all of those operations. An operator counts out a small samples, possibly only having to use their fingers and toes, and keys in the sample amount on the scale. From there the scale does the magic. It divides the sample amount by the total weight and gives you your piece count. 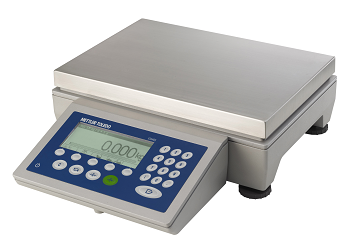 Older counting scales will use the same piece weight throughout the counting process, but today’s models from METTLER TOLEDO are much more advanced with Average Piece Weight optimization (APW) technology. APW optimization keeps a running average of the piece weight and constantly updates when a new piece is added. This helps prevent being off, for example, 1 for every 100 pieces. Keep in mind, the average piece weight can vary from piece to piece. Traditional methods for counting scales did not compensate for these discrepancies whereas APW helps optimize for that discrepancy. Let’s take a look at some of these advanced counting scales METTLER TOLEDO has to offer and the different features. The ICS241 is the entry level counting scale METTLER TOELDO offers. I consider this the Pontiac of counting scales. They’re affordable, intuitive, and they get the job done. 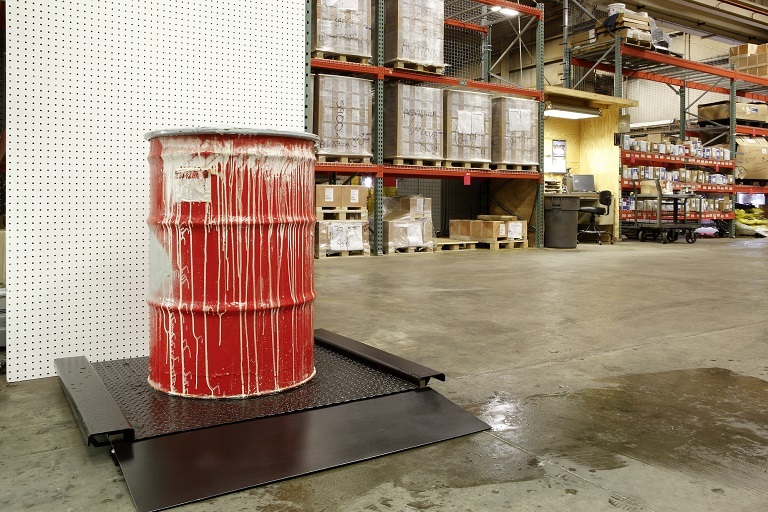 With an IP rating of 43, this scale is ideal for multiple light industrial environments such as production, warehousing and logistics, and packing and quality control. But I would keep it away from dusty or wet environments. Utilizing ABS plastic housing and stainless steel platter, the compact and portable design bundled with the affordable pricing makes this counting scale perfect for discrete inventory control. 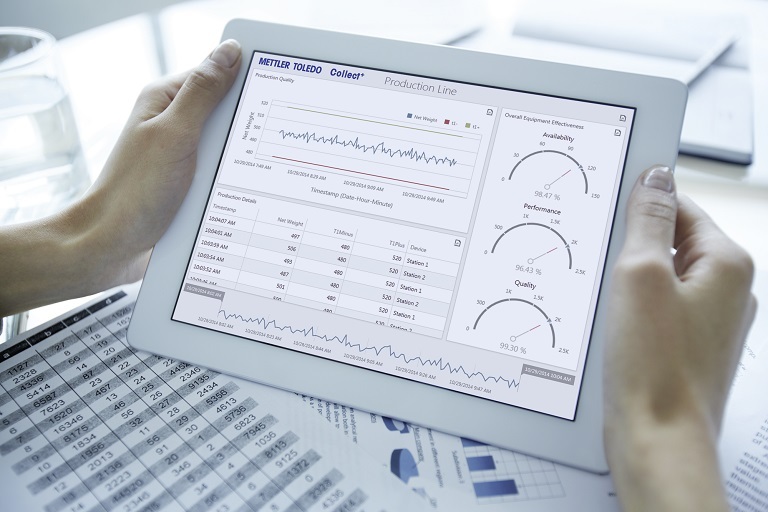 We don’t assume you always want to bring your inventory to your scale and neither does METTLER TOLEDO. We know it’s more efficient to bring your scale to your inventory. That’s why the ICS241 has a built in option to power itself off of six D-sized dry or rechargeable batters for up to 100 hours. Hey, just because it’s an affordable scale doesn’t mean it doesn’t have all the bells and whistles. The scale also comes with a standard RS232 serial interface. Which means you can get inventory done, pick orders, and receive using peripheral devices like bar code scanners, receipt printers, or even integrate into an existing ERP or Warehouse Management system. The display also has alphanumeric keypads for easy piece count samples or item look up as well as five configurable softkeys to use as shortcuts. For example, you can program the softkeys to read various sample sizes so you can select a sample size with the push of a button rather than pressing 2-5-Enter. Additionally the softkeys can be used to pull up the article/item database and pull SKU that already has average piece weight, sample size, and identifiers attached to it. But they don’t just count. 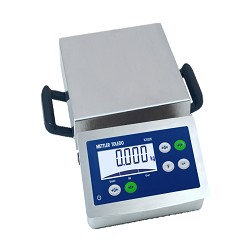 They also perform simple weighing, checkweighing, and totalization functions. The ICS445/9 industrial counting scale is the first level of the rugged ICS counting scale series. Ideal for more heavy industrial environments, the ICS445 comes standard with IP54 protection while the ICS449 version is standard with an IP68 stainless steel housing. The removable terminal makes it easy to mount in easy to see places for the operator making the ergonomics of counting tasks much easier. A removable terminal also allows it to be connected to different bases. For instance, if the weight and resolution of the standard PBD555 base that comes with the terminal do not meet the requirements, the terminal can be paired with a base that does. Much like the previous ICS model, the 445/9 is only suited for counting, totalizing, and checkweighing functions but in more rugged environments that requires a much more stable and reliable weight. The ICS445/9 feature the same Dot-Matrix LCD display that the ICS241 features as well as the same three different display settings. But weight… there’s more. You don’t just get the choice of one or the other when ordering this scale. You can select up to two different options. Maybe you have a scanner and you want it to connect to your PC, so you’d also need Ethernet. You can get both. Did I mention you can connect a second scale to it. That means you can sample a small portion on the bench scale half, then weigh the total contents on a larger scale, like a floor scale. However, this option does remove one of the optional interface capabilities listed above. You can order the scale with this option and one other one. But the added value of this scale brings you more storage. Instead of the 50 item article database the ICS241 came with, you can now store up to 100 articles with product information for quick recall and recording. You don’t have to be limited to the 1,550 records SD cards are able to grant on the ICS241. Now store up to 300,000 transactions with the ICS4xx series’ internal optional Alibi memory. It’s safe to assume just about any operator out there has forgotten one or two steps in the counting process. Whether it be forgetting to tare the container weight, selecting the right sample quantity, or even forgetting to put the tare container on the scale, the ICS4xx series can take care of this with user prompting. The scale can be set up so it prompts the operator to do various steps with their acknowledgement either via a push button acceptance, or a weight stabilization. For example, the counting scale can be set up to request the tare weight be placed on the scale. It can either be set up to have the operator push ‘enter’ when the tare weight is in position, or wait until the weight has stabilized before continuing onto the next step. In addition, DatabICS allows the internal scale article database to increase from 100 to 30,000 articles when moved over to the centralized system. 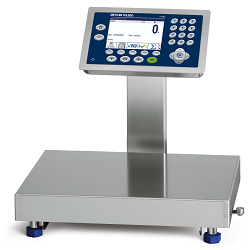 The ICS44x series is a great set of counting scales, but is out done by it’s sister, the ICS465/9. The ICS46x series brings even more efficiency to the operator, but introducing a numeric keypad and colorWeight® technology. Like its sister, the ICS465/9 uses the same Dot-Matrix LCD display with the same three different display modes. Just because the display modes are the same, doesn’t mean they look the same. The main difference is the introduction of colorWeight® technology introduced to this model. Checkweighing just became a whole lot easier. Instead of relying on a monochromatic checkweighing indication, let the screen light up and tell the operator whether the product is in tolerance or not. The human brain processes visual signals 60,000 times faster than text and 93% of all human communication is visual. So shouldn’t your scales be? No need for a peripheral device to display these colored notifications. Also, remember, tolerances can either be set manually, by a configured softkey, or even stored in the article database. But here’s the kicker. Starting with this series, the RS232 interface is standard AND you can select another serial interface (RS232/RS422/485) plus the second scale option. That’s two serial interfaces and another scale interface. Pretend for a moment that you went with this option. How would you use it? An example would be like the one I mentioned in the ICS44x section. You have the standard bench scale weighing out sample pieces. Here you would scan a bar code with a bar codes scanner connected to the first serial interface port and the product information, sample size, and tolerances populate in the scale database. No need for the operator to enter any information. 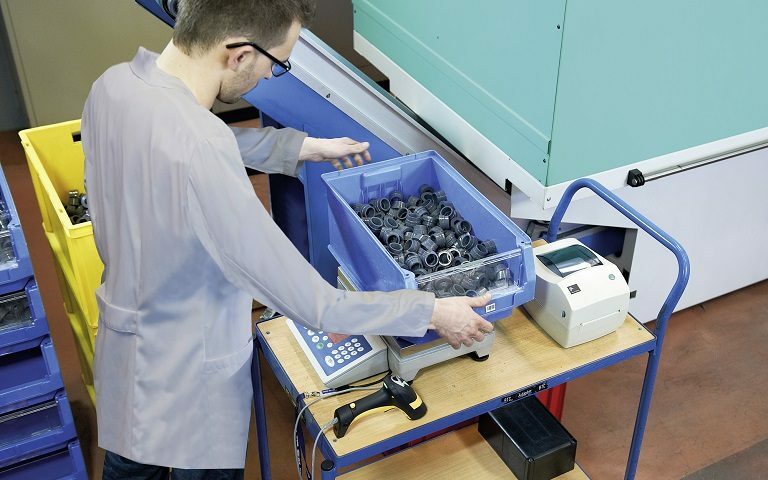 Then you place the full lot of the product onto the heavier capacity floor scale, the weight stabilizes and your second serial interface sends the data to a connected printer to print total quantity, gross/net weight, and date and time. 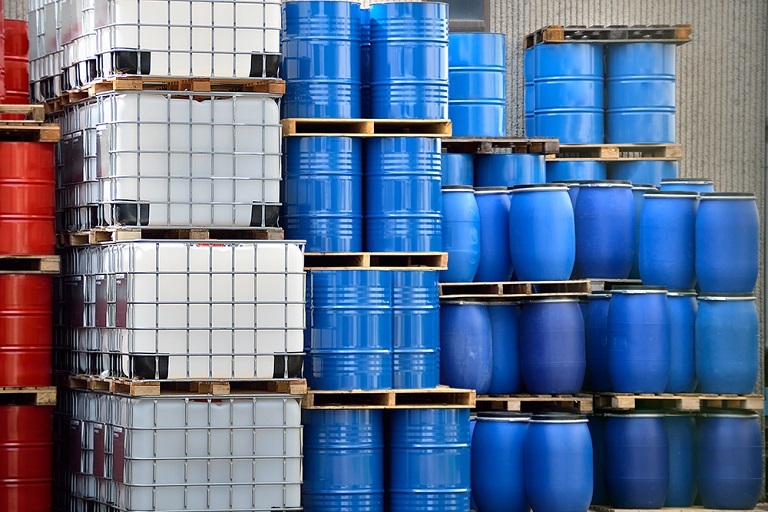 Slap the label on the bin and you’re on your way to a year of painless inventory management. The ICS46x series allows for keyboard tare with the numeric keypad. This will make it easier for entering known tare weights without having to empty the tare container onto the scale first. In addition, you would now be able to recall product IDs in the database without having to scroll through the internal database. Article ID quantities and Transaction history recording limits are kept in line with the ICS44x series. 100 Article IDs standard and 300,000 transactions with optional Alibi memory. DatabICS is also available with the 46x series. 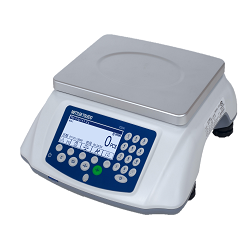 The ICS685/9 is METTLER TOLEDO’s best industrial compact counting scale. The ICS685/9, in my opinion, is not only the best scale functionality wise, but also the most beautiful. But we’ll get more into that in the features listed below. Unlike any other model in the ICS family, the ICS685/9 uses a TFT graphic screen rather than the LCD screen typically used which makes it much easier on the eyes with a much crisper visuals. Okay the softkeys aren’t the update here, but the keypad is. Not only is it handy for entering in known tare weights and product IDs, but with the addition of the letters, product descriptions, names, and info can be updated without cycling through the alphabet on the traditional models. 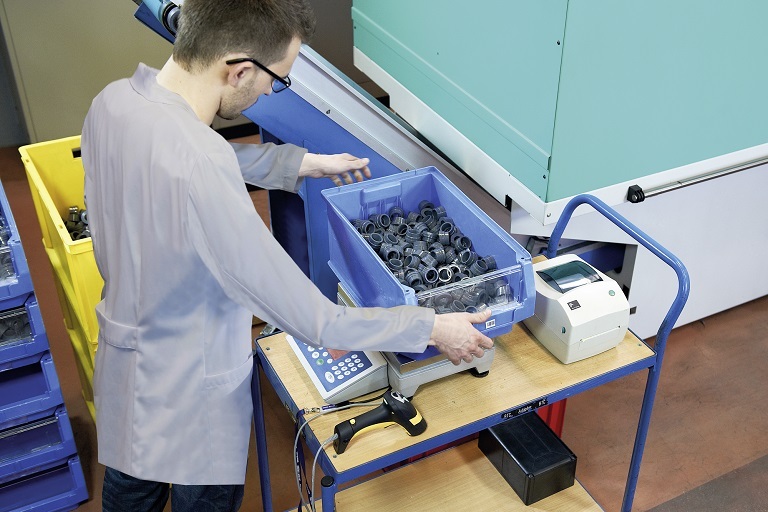 Totalization to Target allows you to count pieces of a product out to one box or bin. The scale then keeps track of how many boxes/bins/containers you have counted out until a total that you have specified is reached. Classifying is typically used in the food industry and is used to classify weights of produced product, usually cuts of meat. If one client is to received 1 lb cuts with a tolerance of ±2%, the terminal can change to the color of that client when a cut is weighed in that tolerance, letting the operator easily identify which client gets which cuts. Just like the other models, the ICS685/9 is available with databICS software. But even better, it can store up to 5,000 articles internally versus the previous 100 articles from the ICS4xx series. In addition to this, the 300,000 transaction Alibi memory comes standard with the ICS685/9 models. Your second and third interface options can then be any one of the above mentioned for a total of 4 interfaces. If you wanted you could have 4 RS232 ports. Or 1 RS232 and 3 USB Devices. A fan and personal favorite feature of the ICS685 and ICS689 is the operator ID feature. With these two models, you can now assign operators to a scale during a specific time. They log into the scale terminal prior to their activity. Any weight and product data stored with each transaction is then recorded under that operator, giving another field of tractability for both quality assurance and process control. Set different levels for different operators and restrict certain functions from person to person. Although not a counting scale, the ICS226 checkweigher deserves a spot in this list. Ideal for food production and packaging applications. The ICS226 is designed to handle light wet and humid environments with an ingress protection of IP65/67. 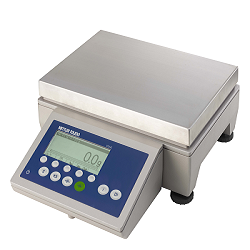 The basic checkweigher is simple to use with its basic 4-key operation and ergonomic design. It’s portable design, which includes built-on handles allows for easy mobility across production lines and plants. Simply set a target weight and tolerances for your weighment and let the scale do the rest! And there you have it, our top 4 counting scales that improve operator and counting efficiency. Still looking for more efficiency in your warehouse or shipping department? Check out how the easy-to-install VFS120 forklift scale saves space, time, and money right here. *Unapproved readability. **MonoBloc® bases not available in ICSxx9 models.